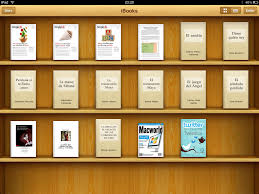 Calibre is a Free App that every eBook owner should have. As a reader, I get great mileage out of Calibre. Kobo, Nook, iBooks, all use ePub format, but Kindle does not. If you own a Kindle, you might buy a book on a great sale from Kobo or Barnes & Noble, but Kindle will not open it. Likewise, if you own a Nook reader or a Kobo, you are limited to buying books from them because they will not open a Kindle book. There is a solution to this problem, as you will see. A book I wanted was on 50% sale at the Kobo site. No problem. I signed into Kobo and bought the book. The book was saved to the Kobo library for my account. 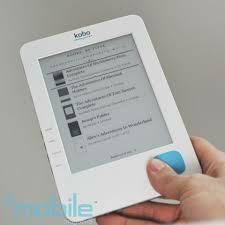 I went into my Kobo Library, selected the new book, and clicked on export. The book was downloaded to my download directory on my desktop. I signed off Kobo. I navigated to my download directory. I clicked on the book. My FREE Adobe Digital Editions app on my desktop opened it. It now appeared in the Adobe Digital Editions library directory. Adobe Digital Editions is another very useful FREE app. I opened my Calibre program and imported the ePub file from the Adobe Digital Editions directory into Calibre. I used Calibre to convert the ePub into Mobi, and emailed the Mobi file to my Kindle. The whole process took five minutes, and I was reading the book on my Kindle! Books that you get from Barnes & Noble, Kobo, and most sellers, (including Amazon), are often DRM protected. This is especially true of books from traditional publishers. This means that when you try to open the book in a reader for which it was not sold, the warning you see below pops up. You are unable to open the book. The book I bought from Kobo was DRM protected. Since I paid for the book, and all I wanted was to be able to read it, I opted to remove the DRM. In order to open the ePub book and convert it to Mobi, Calibre must remove the DRM first. It must have the right plugin installed to do so. Good news is that Calibre and its plugins are all FREE and widely available on the internet. You can spend money buying the DRM removal tools, but that would be foolish when the best of them are available for FREE as open source apps. 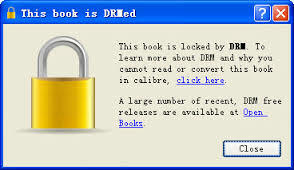 DRM can be removed from Nook, Kobo, and Kindle books using these Calibre plugins. Calibre is also a fantastic reader, organizer, and manager for books. It can organize your books in just about any order you want. It can open dozens of file formats. It can convert from just about any format into another. If you try to convert from one format to another and you can’t, you can usually find a plugin that will enable you to do the task. Another great advantage of the app is that you can use it to copy books from your Kindle to the computer or portable drive and vice versa. There are also internet instructions on how to transfer books from Calibre to your iPad. Calibre is made for Windows, Mac, and Linux! 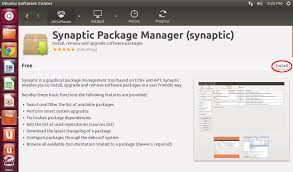 If you are a user of, let’s say Ubuntu, you can download Calibre straight from your Ubuntu apps manager. You can get a Dropbox account and back up your Calibre library so you can access it from any device. 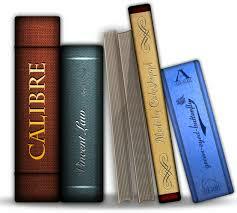 I have my Calibre library also stored in an external drive. You might think that is silly, but you never know what companies like Amazon, Kobo, Barnes & Noble may do in the future. Your books should be forever yours. I am paranoid about sellers going out of business or denying me the books I paid for, in the future, for whatever reason. I have not even touched the tip of the iceberg in terms of what Calibre can do. I honestly can say that it is the most useful tool I can have both as a reader. I could write another post on how useful it is to me as a writer. No, I do not work for Calibre nor make any money from recommending it. I benefit from the app and feel every reader should too. It is an Open Source App; this means that it is totally FREEEE!!!! Have you read Zeece Yet? Click HERE for ALL SELLERS! Is Your Kindle Reader Full? A friend recently complained that her Kindle reader was full of books, and she was having to store them in her computer. I was surprised she did not realize that her Kindle need never be full, no matter how many books she buys. Normally, your book is stored both in the reader (once the book is downloaded) and in the Amazon files (cloud). Removing the book from the device does not erase it from the cloud. It's still your book and there for you to read again at any time. Removing a book from your Kindle device is easy. I have an old Kindle Fire HDX, but other Kindle readers follow a similar procedure. A book that is currently being read, shows up in the Kindle Carousel. When I’m done reading a book, I long-press on the book's cover showing on the Carousel. A check mark pops over the cover, and a panel shows at the top of the screen. This removes the book from both the Carousel and from the Kindle itself. Your book is no longer stored in your Kindle, but it is safely kept in the Amazon cloud. You have not lost or erased your book. Any time you want to have it on your reader again, you click on “Books,” then “Cloud,” and select the book you want. It will once again load to your Kindle reader. You can download your book and remove it from your Kindle as often as you want, as long as you have an Internet connection, of course. Amazon will store the books you’ve bought from them for FREE. 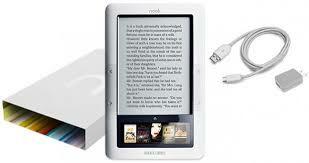 You can have thousands of books in the cloud and keep only those you presently want to read, stored in your Kindle. If you check the product pages of all Kindle readers and Fire tablets, under the tab “Technical Details,” you will find the following statement: Free cloud storage for all Amazon content. This means that any book you buy from Amazon will be stored in your cloud whether you’ve bought extra storage or not. The same is true for pictures taken with the device. 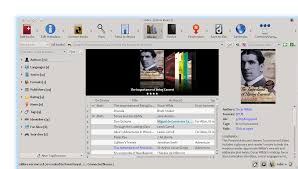 Book files are very small, and hundreds of them can be stored in a few gigs if the books have no embedded video, numerous images, or graphics. Google the question, "How many books can be stored in one gigabyte?" You will get myriad answers. I looked at my Kindle's storage and calculated that the average book in it takes about 3 Megs. One Gig equals 1024 Megs. Dividing 1024 into the averaged 3 Megs per book, gives me 341 books. My very simplified method tells me that I can store 341 books in one Gig. Of course, that's a hypothetical statement that assumes I am only storing books that take up 3 Megs each. Some take less, and books with a high image content and embedded video take a whole lot more. Four Gigs of storage space should hold approx. 1,365 hypothetical books at 3 Megs each. If your reader is also a tablet, and you are storing images, music, games, apps in your device, then the situation changes, and your device can get full very easily. The internal programs of the reader also take a big chuck out of the storage. My Daniel's Fork novel has 270 pages and takes 2.2 Megs. One could store 465 of them in one Gig or 1,860 in 4 Gigs. At this point, I should remind you that a reader sporting 4 Gigs of internal storage really has a lot less because its own programming takes space. My Kindle Fire is old. It doesn't have the option to add a microSD for extra memory. The newer Kindle tablets do, but not the dedicated readers. The Paperwhite has 4 Gigs capacity but no microSD slot. If your Kindle reader is full, you can take an hour of fiddle time and start removing Amazon content and keeping it on the cloud. This frees reader space for your other content. You also have other options such as buying cloud space from Amazon or storing in various other services such as a free Dropbox account. If your only vice is books, and they only come from Amazon, then you need nothing else. To those readers who have thousands of books, I suggest keeping most of the Amazon-bought books in the Amazon cloud, and storing those bought or downloaded somewhere else in the Kindle itself. For those of you also saving your library to your computer, I suggest that you keep a copy of it on a USB drive and update it often because hard drives do fail. And yes, you can store books from other sellers in your Kindle, but that is a topic for another post. I imagine many of you know all this already, but for those of you who didn’t, I hope my post helped. Have You Used OverDrive Yet? Are you an avid reader? Do you find yourself spending too much on your reading habit? A subscription service such as Kindle Unlimited or Scribd may be the thing for you. Back in 2013, the future looked bright for these services. Since then, Oyster went out of business and Scribd just trimmed down their service to a limited number of reads per month. While Amazon is still offering unlimited reads, it limits you to mostly self-published books. The main top traditional publishers opted not to make their books available on Kindle Unlimited. My daughter and I often discuss our favorite authors during our long distance calls. 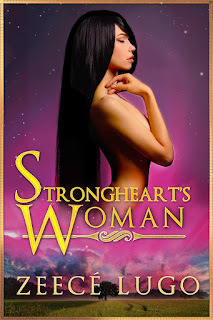 Recently, I recommended she read the long-running series by J.R. Ward, The Black Dagger Brotherhood. There are over a dozen books in the series, and Amazon lists the fourteen-pack title at $117 for the ebooks. My daughter quickly called me back to say that she was spending way to much on books, and she couldn't do that. I whipped out my Kindle Fire and opened up a sweet little app called OverDrive. You can download the app from the Google Play Store, your Apple store, your Kindle App store, etc. In order to use OverDrive, you must have a library card from a public library: any public library in the USA that is listed in the OverDrive directory. I believe that just about every public library is listed. You log into your library and borrow the books you want. I did a quick search on my library, and just about every book by J.R. Ward showed up in ebook format. Some were signed out, but you can put a hold on the ones you want, and as soon as a book is available, the library notifies you. There are audio books also available. When you borrow the book, you can choose epub or kindle. I told my daughter about OverDrive, and she reluctantly downloaded the app, thinking that it was too good to be true. Within minutes, she had books two and three downloaded, and a day later, she was notified that the first book was now available. She was thrilled. Now, if she likes the series, she can buy it later when they are on sale and have it for ever. The books are checked out to you for 21 days, and you can check out multiple titles at the same time. There is no charge. The books can download straight to your Kindle, Nook, iPad, depending on what you choose. Best of all, there are bestsellers and novels by popular authors available. You are limited only by what the library has. If the book you want is not on the list, you can use OverDrive to recommend to the library that they purchase the title. Are there negatives? The only one I see is that the latest releases are grabbed quickly, and you usually have to wait a few weeks to get them. If you are willing to wait for them, you can read them for FREE! Really for FREE with no strings attached. At this time, I feel it's important to make clear that I do not work for OverDrive. I am not connected to or, in any way, make money from Overdrive. I do not in any way profit from recommending them. I honestly like their app and feel that my readers deserve to know about it. Click on the link below to visit the OverDrive site.